Now with Glucevia® and Glucodox® for added control! The All-Natural solution to optimal blood-sugar levels. 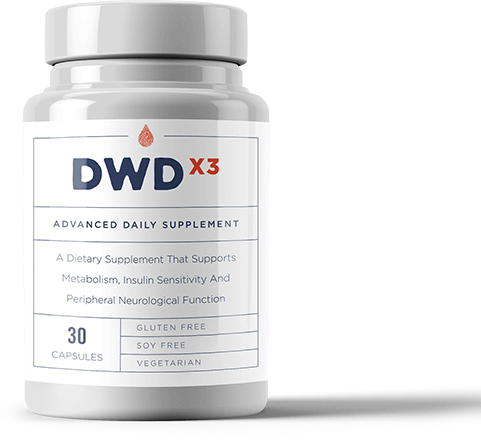 Achieve glycemic balance with DWDX3 ’s powerful blend of clinically-researched botanical extracts. For this first time ever, this formulation brings together the power of Glucevia®, Glucodox®, Benfopure, and Chromium to reestablish support for overall metabolic health. Each serving of DWDX3 contains 1000mg of Glucevia®, an ingredient derived from European Ash (Fraxinus Excelsior L.). Widely-accepted and researched as nature’s answer to safely promote glucose metabolism. Glucevia® also provides internal benefits for metabolic illness linked to impaired glucose tolerance, insulin resistance, and obesity, especially in older adults. DWDX3 also contains Glucodox®, a proprietary ratio of potent Guggul (Commiphora Mukul) extract and pure medium-chain triglyceride (MCT) oil. Backed by clinical research, this formulation promotes healthy glucose and fat metabolism. Including support of insulin sensitivity, normal cholesterol levels, and prevention of fat buildup in the liver and pancreas over time. Actively preserve and support your nerve health. Maintaining nerve health is critical as we grow older. It can be an even greater concern for those with glucose-management issues. DWDX3 contains an easy-to-absorb analog of thiamin known as BenfoPure. This ultra-active form of thiamin supports nerve health and helps normalize intracellular glucose levels. An essential nutrient for metabolism, thiamin also promotes the production of helpful enzymes that convert carbs, proteins, and fats into fuel. your metabolism, burn fat, and build lean muscle. With added Chromium, a key supplement for any glucose support plan. A blood sugar imbalance is often accompanied by low Chromium levels. Chromium is a vital part of the metabolic processes that regulate blood sugar, including insulin sensitivity. Supplementing with chromium also helps the body build lean muscle mass and metabolize fat more efficiently. Put healthier years ahead of you again. These synergistic ingredients work together to support your overall metabolic health. 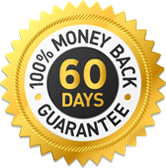 …and when you include these nutrients as part of your DWD Protocol daily routine, you can more quickly get your blood sugar healthy and focus on enjoying life again. As a dietary supplement, take 3 capsules daily or as directed by your healthcare practitioner. Our steadfast commitment to safety and quality. Every capsule of DWDX3 contains potent and safe supplements to maintain healthy glucose levels, promote optimal nerve health, and support metabolism.